"Easy to find, adequate, clean, facility." Have a question for O'Hare Inn & Suites? 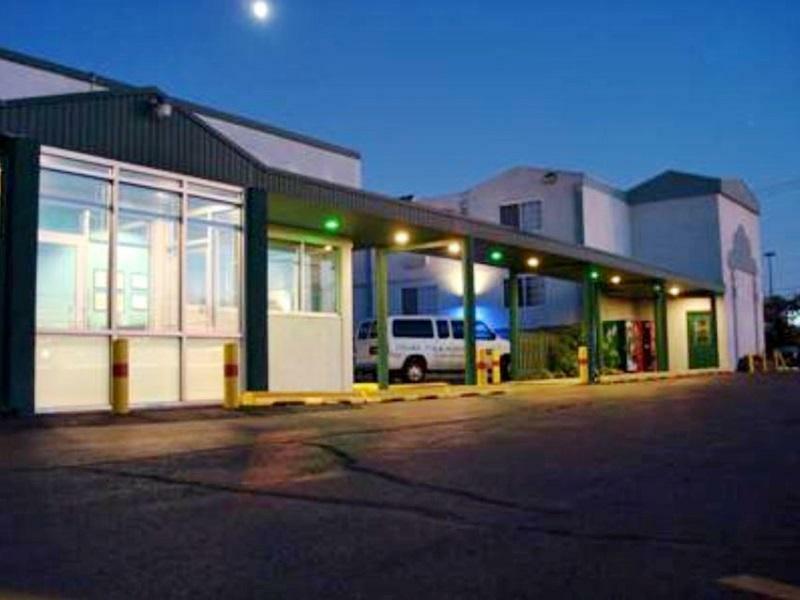 "Airport shuttle service was best"
"I had no problems and it was nice clean friendly hotel booke..."
Strategically located near the city center, O'Hare Inn & Suites offers its guests great access to all the major highways and local attractions. 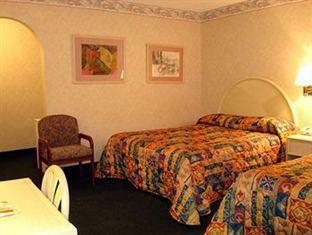 Being close to O'Hare Train Station, the property is a great choice for travelers into or out of this city. Enjoy access to the city's many restaurants and shopping centers, perfect for both business travel or vacation to this city. Take advantage of the hotel’s many on-site recreational facilities as a way to recharge after a long day of exploring. This great location, along with all the amenities and facilities offered, make O'Hare Inn & Suites the right choice for travelers looking for the best value and comfort for their vacation. "The driver is pretty nice and patience." Airport transfer is available from 04:00 AM to 12:00 AM. Drop off to the airport: The hotel has a shuttle schedule at reception so all guests who need to go to the airport or to the train station at the airport (Blue Line Train - from the O'Hare Airport to Downtown Chicago) will need to book for the time and specify their room numbers. Easy to find, adequate, clean, facility. Everything worked. Hot water. Helpful staff. I'm not picky and I sleep well just about anywhere, I just needed a bed for the night as I had an early flight at O'Hare and it was just what I needed. Close to the airport, easy access to restaurants, etc. Great price thanks to Agoda.com Great customer service too as I had to make amends when I accidentally booked the wrong date. Thanks Agoda and O'Hare Inn and Suites! It was a little bit noisy, but the service is wonderful. The driver is pretty nice and patience. This is submitted on behalf of my friend, whom I booked the room for. The room was old, worn out with dirty carpet. It has not yet been renovated & should not have been rent out. Breakfast is unacceptable ( only coffee & cereal.) Breakfast room not nice. One man staff was extremely rude. I had very low expectations because of the price, but I was pleasantly surprised when we got there. Quick access to the highway, very clean, nice sized room. There was a little bit of wear in some areas and it's a little noisy because of how close it is to the highway and airport, but if you're looking for a clean and affordable place to stay this is perfect. It was easy and efficient. Good=location, friendliness of staff and the shuttle. Bad=The air conditioner was loud and went on/of so I couldn't sleep well, which was the only reason for my stay. It was better than the many bad reviews I read online (clean, staff were nice, comfortable, wifi and tv were good, shuttle good and there was a liquor store with the subway/dunkin donuts that nobody mentioned. I like its location, so close to the airport! I could check into the warm room as soon as I left the airport. The room I stayed in was spacious; I felt comfortable. The breakfast it offered was quite basic though. It was adequate for our needs as a lower budget hotel that was reasonably comfortable and with a location not far from the airport. It was reasonably priced for a hotel in the Chicago area and allowed us to enjoy restaurants, malls, cinemas, and coffee shops within a relatively short drive. The room was a bit dark, but other than that, the size and comfort made up for it. Great price. Very close to the airport. Room was very clean and large with a comfortable bed, and very fast internet. Staff was friendly and supportive. The only complaint was the breakfast...just cereal and some crackers. Not even juice to drink. Oh well, with the money you save, you can go have breakfast nearby. Excellent. Just needed to be close to the airport for an early flight, and the fridge in the room and the market/subway around the corner were a good combination. I Thought there was gonna be noise from the airport but there wasn't any. I had an excellent sleep and caught my flight. They pick you up from and take you to the airport on time. the hotel has 3 storey, room is big, clean and near the airport, all are self service. about 2 min walk we can buy drinks and foodz (subway) beside the petrol station I enjoyed the stay in this hotel. good for money we spend. in vicinity to the airport, good services and reasonably priced. The hotel staff was good and helpful. The shuttle service provided by the hotel made our trip very comfortable and travelling was convenient. The room was neat and clean with all basic ammenities. Lastly, a good hotel for the cost. Cant ask for more, my stay was pleasant and I have nothing to complaint about. Its cheap but it doesnt mean the service need to be bad. They will take you to the blue line station from where you have access to the whole city and when you are back just call them to pick you up. Not much around to eat but a subway, 7/11 and Dunkin Donuts nearby maybe enough. I recommend it. Was only doing a stopover in Chicago on the way back to Asia. Wanted something with no frills as i wasn't going to be spending much time in the room anyway as i would be touring the city. Place was clean, water was hot when you needed it. Didn't bother with the breakfast. Stayed at the front of the hotel and it was noisy due to the traffic & the flying planes (its pretty close to the airport). Had to use ear plugs to get some sleep. Request for a room in the back of the hotel if you are a light sleeper. Not many food or convenience store options within walking distance of the hotel so having a car is absolutely necessary. We stayed here for a night and got there early. We called ahead to let them know of our earlier then anticipated arrival the they rushed to make sure our room was ready. Super nice of them. The room had enough lights, and a tv with plenty of channels. Excellent choice for overnight stay. Room was clean and spacious. Subway sandwich shop just down the street. Only downside is their hotel shuttle to airport runs every 40 minutes. Had to wait at the airport at least half an hour for a pickup. the hotel is located near the airport , about 5-10 minute drive.there is free shuttle bus service from and to airport.the room is spacious and have a refrigerator,air condition , heater.the hotel provide free wifi internet service and free continental breakfast.there is a 24 hour service minimart,subway,dunkin donut.the shuttle bus service is very quick and convenient.dining room for breakfast is spacious and have big screen TV for entertainment. 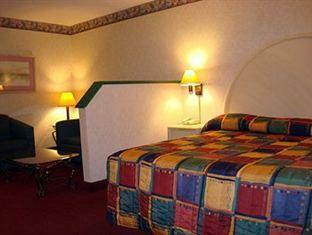 the hotel is located very close to airport about 5 minute drive with shuttle bus. the room is clean.also provide free wifi internet.free continental breakfast with spacious dinning room , also have big screen TV .next to hotel there is 24 hour mini mart and subway&pizza and dunkins donut.from the hotel to downtown of chicago is very easy to go, take shuttle bus to airport and then take train (cta) to chicago downtown. It seems like the rooms are cleaned one a week—if at all. The staff were awful and either gave us wrong information or drove unsafe/erratically to the airport...I felt like I was on a roller coaster! When we arrived, the staff member at the front desk went to “make sure our room was ready” and it was obvious that he just remade the bed and straightened some things up. Absolutely awful experience and I’m sorry we tried to save a buck and stay here. Use your money elsewhere.